Ok, I’m going to keep this relatively short, not because I particularly disliked “Jesus’ Son,” the new show now playing at West of Lenin as part of Book-It’s new second-stage series called “Circumbendibus,” but rather because the show was so long as is, that I just want to give a reminder about the power of brevity (not that this sentence is brief at all). This is not to say that I haven’t appreciated some of Book-It’s work. In fact, I really enjoyed their last main stage production of “She’s Come Undone” because it moved; it was very well-acted, and more importantly, it was well adapted. But like other shows I’ve seen there as well (ie. “Prairie Nocturnal”), “Jesus’ Son” is in need of some major cutting and re-adapting. There were just too many superfluous scenes and episodes that went nowhere and really did not serve the larger structure of the work. 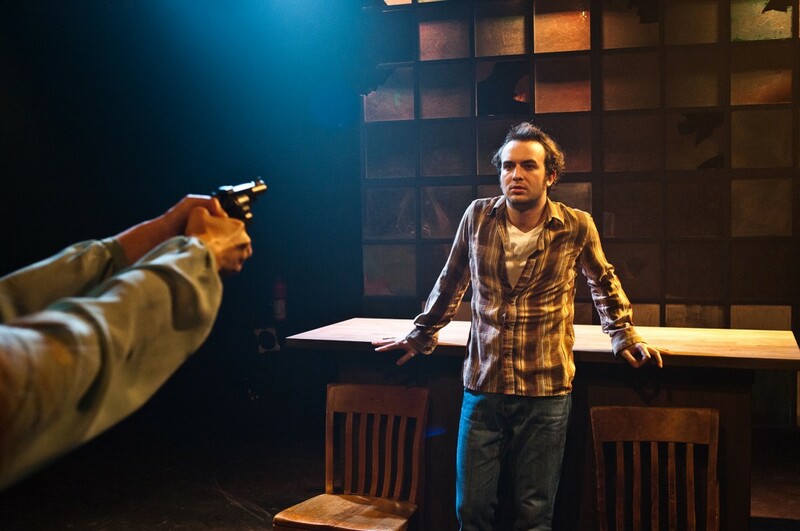 However, on a much more positive note, Scott Ward Abernethy, was spectacular in his portrayal of the drug-addled derelict, “Fuckhead,” the play’s protagonist. He had energy, focus, intensity, and he wasn’t too bad on the eyes either! 🙂 In fact, the acting, in general, by the entire cast was quite good, as was the overall direction by Josh Aaseng. But the whole thing was made almost unbearable by keeping us trapped for two hours with no intermission. By the end, I didn’t care who lived or died; I just wanted out of there! PS. Oh! I almost forgot! The live musicians! They were fantastic and helped make this otherwise long and meandering story much more bearable. Kudos to you Annie Jantzer and Owen Ross!